The Cowan Creek Mountain Music School has been blessed by the presence of some of Kentucky’s most respected and beloved musicians. We honor many we have lost with a memorial scholarship or teaching assistantship. All memorial scholarships and teaching assistantships recognize outstanding achievement and are aimed at encouraging the student to continue learning. Recipients are nominated by faculty and chosen by a faculty committee on the last day of the school. The recipients are announced during the Friday student recital and receive full tuition (or a position as teaching assistant) for the following year. Art Stamper: The Art Stamper Memorial Scholarship recognizes a fiddle student, age 18 or younger, for outstanding musicianship, grit and determination in learning their instrument. Burt Hatfield: The Burt Hatfield Memorial Scholarship recognizes a banjo or guitar student, age 18 or younger, who shows promising musicianship and interest in learning old time music. Rodney Hatfield: The Rodney Hatfield Memorial Scholarship recognizes any local student, either a youth or a senior, who is excelling in learning any instrument, singing or dance. Arnold “Cowboy” Martin, Jr.: The Arnold “Cowboy” Martin, Jr. Memorial Scholarship recognizes an outstanding guitar student. J.P. Fraley: The J.P. Fraley Memorial Scholarship recognizes a fiddle student, age 18 or younger, for outstanding musicianship, grit and determination in learning their instrument. 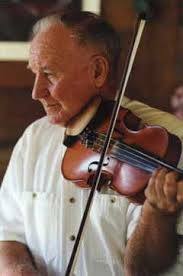 Goebel Twyman: Scholarships in memory of fiddler Goebel Twyman are awarded based on family need. The family is notified of the scholarship at least four weeks prior to the start of the school. Scholarship recipients are not announced. Nancy and Harvey McClellan Fund: was established to assure ample scholarships for CCMMS students for generations to come. Nancy and Harvey, of Ashland, Kentucky were champions of mountain music and friends to countless musicians. With Nancy’s passing in 2013, she entrusted the Cowan Community Action Group with a generous bequest to assure that Kentuckians will always be able to learn and share their traditional music. Scholarships are awarded based on family need (use form below). Scholarship recipients are not announced. 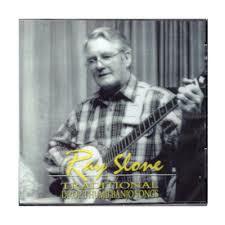 The Ray Slone Memorial Teaching Assistantship recognizes a student, usually in their late teens or early twenties, who has shown mastery of their instrument and is ready to learn to teach mountain music. The student is offered a position as teaching assistant for one of the CCMMS classes the following year. 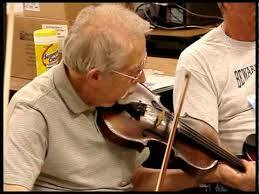 The Paul David Smith Memorial Teaching Assistantship recognizes a student, usually in their late teens or early twenties, who has shown mastery of the fiddle and is ready to learn to teach mountain music. The selected student is offered as position as teaching assistant for one of the CCMMS classes the following year. Fill the forms out & send them our way!